Geocaching is a family-friendly (often competitive) ‘treasure hunting’ game for someone of any age. Sunrise Corner has more than ten caches hidden around the RMs of Stuartburn and Piney near attractions and historical sites. It’s the perfect thing to do on your way through, or on your weekend holiday with family. Visit some of the hidden attractions and learn about the culture of the different communities in Sunrise Corner through this exciting activity. Nearly all the caches are easily accessible. 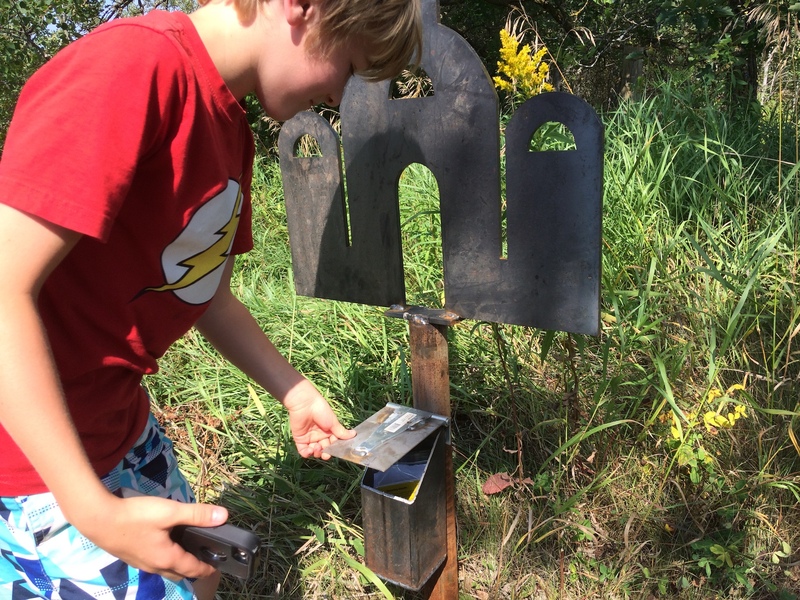 Watch for the special monuments set up by each geocache – and if you find one, remember to sign the log! SunriseCornerTourism is also registered on geocaching.com so you can read about the locations and log your finds online.